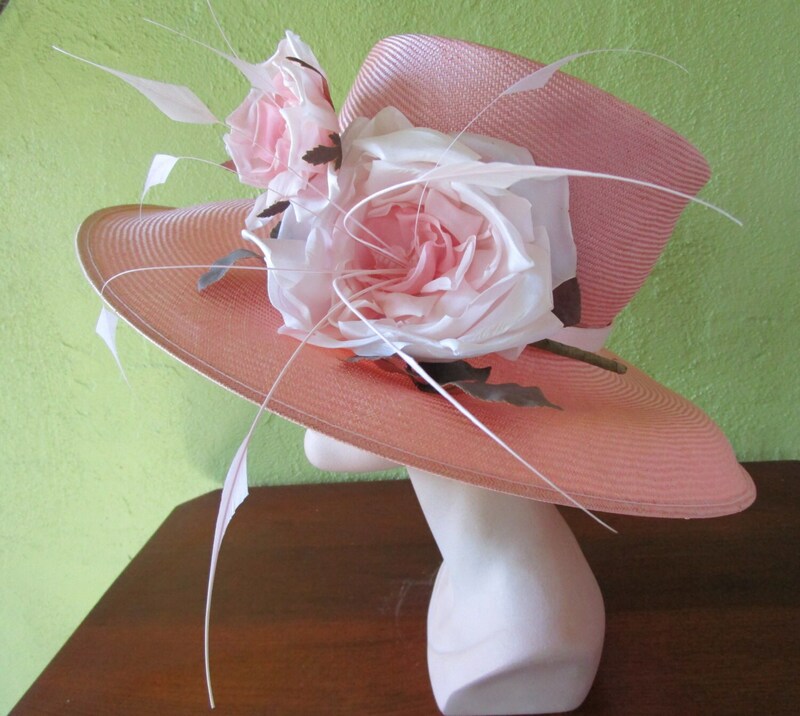 I'm so excited to have my first from this world reknown milliner. 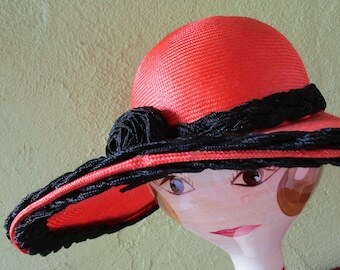 Exquisite highest quality straw hat from Philip Treacy London. Asymmetrical flowing lines is perfection. High. low tall shaped crown, flowing wide brim. Delicate two roses with curled petals and a burst of dancing clipped feathers. Made from stiff straw in softest pale pink. 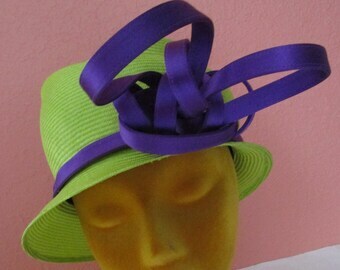 Wire edged wide brim with silk band. Inside lined in white silk. Ribbon band with slight stretch. Gold logo in crown Perfect for weddings, church, sun, afternoon tea. Condition: Very good like new condition, slightest wear inside band, slightest misshape. See photos. Label: Philip Treacy London 100% Natural fibers Made in UK "Do not wear in rain." Size: Measures 21-1/2" inside circumference with some give, 16" inside diameter side to side , 4-1/4" brim width at front,, 5" tall crown height. Please email for internatl rates and any other questions you may have. I have lots more photos, just ask.